The Japanese Cultural Committee (JCC) of Great Falls Elementary School is a parent-run 501(c)3 non-profit organization that aims to promote and sponsor the Japanese language and cultural activities of the Great Fall Elementary School. It supports the school’s Japanese language immersion program and enrolled families by organizing educational and cultural events in and outside of the classrooms in order to promote greater understanding of Japan and Japanese culture and language. As many JIP families live outside of the Great Falls district, the JCC is an excellent way to meet other families participating in the immersion program and learn about school events as well as Japanese cultural events in our local area. The JCC always needs volunteers to organize cultural and social events in and out of school. 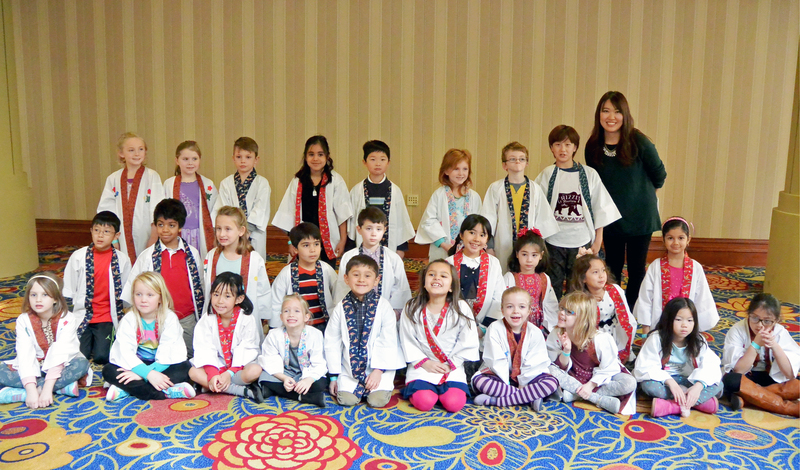 JCC volunteers typically work to enrich the JIP classroom experience by planning classroom events that celebrate Japanese culture and holidays. You do not need to speak Japanese or have any experience with the Japanese culture to help. All you need is a little bit of time, in or out of the classroom, and an open mind.